Teaching is a great way to use your passion and talents to contribute to the world. By choosing this career path, you can positively affect hundreds, or perhaps even thousands of lives! The following steps will help guide your journey toward becoming a teacher in the state of Georgia. First, you need to think about where you want to teach. For example, would you like to see yourself teaching in elementary school? Would you like to be in special education? Answering these questions will determine some of the steps you take. The Georgia Department of Education and the Georgia Professional Standards Commission have guidelines for becoming a teacher in Georgia and choosing the right pathway for yourself. In Georgia, the basic education requirements for becoming a teacher are obtaining a Bachelor's Degree (from a state approved teacher education program at a regionally accredited college or university), completing a teacher preparation program, and passing the Georgia certification exams. For a list of regionally accredited institutions, refer to the GA Department of Education's list of Approved Programs. Most colleges and universities offer joint teacher education and Bachelor's Degree programs. 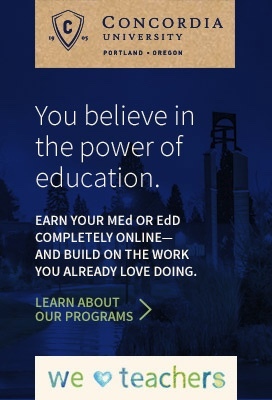 In other words, you can earn your degree and teaching certificate simultaneously. If you have not yet received a Bachelor's Degree, consider deciding on a college major based on the grade level and subject(s) you wish to teach. This is recommended but not required in Georgia. For example, you may pursue a Bachelor's degree in Chemistry if you wish to become a chemistry teacher. If you are not sure what to major in, a school advisor or counselor may assist you in deciding on the one right for you. For more information on these induction paths, consult the Georgia Professional Standards Commission's Induction section. Another pathway to obtaining a certificate to teach in Georgia is the completion of an advanced degree program (e.g., Master of Arts in Teaching, Master of Education). You may wish to do this while you do a teacher preparation program. If choosing this route, you may elect to take Induction Pathway 4 (listed above) which will allow you to teach for up to three years during your graduate studies. You can also do a "certification-only" program which does not lead to a degree (therefore, you should already have a Bachelor's degree) but does lead to GA teacher certification. Yet another pathway is completing a GA alternative educator preparation program which can be completed if you have a Bachelor's degree and have been hired by the Local Unit of Administration (LUA). This pathway gives more flexible schedule options than a traditional teacher preparation program. After completing your education requirements, the next step to becoming a teacher in Georgia is to pass the required state tests. At some colleges or universities you may have to pass some or all of these tests before entering or exiting a teacher preparation program. Consult with a program advisor or counselor to find out more about requirements. After completion of the above steps, you will be ready to positively affect the lives of many children in Georgia. You will be ready to begin your career as a teacher! The state of Georgia has one official website for recruitment purposes, which is teachgeorgia.org. Using this site, prospective employees can easily view job opportunities and requirements as they're posted. The site is also a resource for recruitment activities around the state. Georgia is currently seeking candidates with certification in math, sciences, special education, foreign languages, ESOL, and Speech Language Pathology. 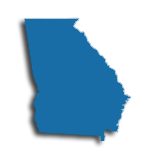 The successful candidate may join a professional organization like the Georgia Association of Educators (GAE) or the Professional Association of Georgia Educators (PAGE). These organizations are not unions, but support and assist their members in a variety of ways. Teachers who prefer an alternate education philosophy may seek employment with any of the state's 841 private schools, which serve almost 150,000 students at a ration of 10:1. Professional opportunities may vary significantly from the public sector. The table below lists the number of public school teachers in Georgia by grade level during the 2012-2013 school year. There are more than 640 private schools with an estimated 11,600 private school teachers in Georgia. The table below details the number of teachers by grade level during the 2011-2012 school year. Classroom teachers and administrators are renowned in North America as being ready to engage in ongoing professional development. The purpose of the professional development system is to evaluate and improve student achievement, integrate classroom instruction, and help students move on to higher academic goals. There is no greater testament to an individual's commitment to self-evaluation and improvement than professional development. All groups of educators engage in PD throughout the course of their career. In addition to developing a necessary skills for today's evolving educational system, teachers who engage in professional development activities will likely earn more money and accreditations throughout the course of their career. In the state of Georgia, the Department of Education's professional development structure supports educators' commitment to their career and their students. Georgia teachers are required to create a professional learning plan to establish goals for professional development and a measure by which to apply what they have learned. Teachers in this state complete Professional Learning Units which are tracked statewide. As of 2015, Georgia has changed the structure of its professional development resources; teachers seeking professional development resources, courses, or assistance should check in with their Regional Education Service Agency for relevant professional development opportunities. The 2014 changes made by the Georgia Professional Standards Commission (GaPSC) to the Certification Rules made earning a master's degree a major goal for teachers looking to achieve the highest tier of certification in the state. The top-end Advanced Professional Certificate introduces a number of high standards for teachers who hope to advance from the Professional level certificate, including a minimum of ten years of experience as an educator and compliance with the Standards of Conduct. The major educational requirement you will have to meet for the APC includes earning an advanced degree in a teaching field. The state has stringent requirements for the type of degree and awarding institution you will have to meet in order to qualify as well, all outlined in Rule 505-2-.33. Most importantly, the degree has to be in an existing certification field in which you are currently qualified, and must either be obtained at a Georgia institution approved by GaPSC, or one holding a Carnegie Classification of Research University High or Very High, or that has been accredited by NCATE, TEAC, or CAEP at the time you are admitted. It's possible to earn your master's in a field outside of your current certification if you later add that field to your certificate. Like the Professional Certificate, you'll have to renew your Advanced Professional Certificate every five years, and doing so will require an exemplary performance rating on the TAPS component of the TKES evaluation system… a rating that will be a lot easier to meet with the advanced training you will get with your master's degree. Although Georgia has moved to a primarily performance-based salary schedule based on the TKES system, a master's degree will also give you the possibility of a salary bump by making you eligible to move to the T-5 track on the GaDOE official salary schedule. At the E salary step, that's worth almost $7,000 a year in additional salary… well worth the effort!